Okay, we know the Beatles style is timeless but just for fun what do tu think the Beatles would they be wearing if they looked like they did in the sixties but were around now instead? tu can skip letters. tu can't use cover songs (sorry!) and they can be early o late Beatle songs. And the is three songs and no same word twice, Ex: All together, now, All my loving. Paul stared at me, clearly shocked, and I had slight misgivings, wondering if what I had dicho was considered very rude in the nineteen fifties. But I was desperate! I only had four days left to get Paul to meet John! I had to try something. The rest of the día passed in a blur. After the bus took me back to the hostel, I spent a lot of time wandering around the streets looking for a newspaper office, not knowing what a newspaper office even looked like. Eventually I had to ask directions, and then I spent an hora annoying the people at the newspaper office por having no idea how to put a classified ad in the paper. I think eventually they let me put it in just to get rid of me. But I did manage it. The rest of that día and all of the siguiente one passed uneventfully, but oh, so slowly, as I waited for the time when I would have my fecha with Paulie. I can’t really explain what it feels like to be sucked into the past. It’s not an unpleasant feeling, but it sure is a strange one, sort of like being tugged backwards and then feeling like you’re nowhere for a few minutes, almost like you’re reloading yourself. That’s the best way I can describe it. Eventually they say they’ll perfect time travel so that it’ll be instantaneous and tu won’t feel a thing, but for now, this is what we’ve got. I bounced down onto my cama with joy, still hardly able to believe that the big día had come. That I had been allowed to do this at all. It isn't easy, after all, to get accepted to time travel. I got Please Please Me. I think the descripción fits my personality very well. a comment was made to the poll: The Beatles música in commercials: Yes o No? a poll se añadió: The Beatles música in commercials: Yes o No? 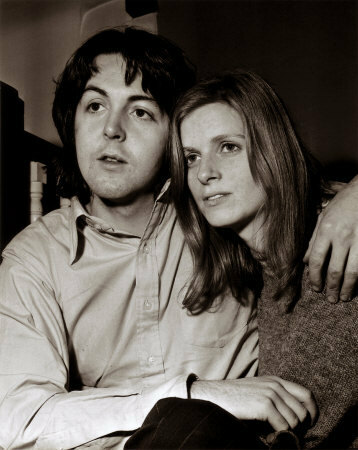 True o False: Paul McCartney and wife Linda McCartney only spent a mes apart during their marriage. pregunta about Beatles Record Value? Do tu ever wish there was a Help! fan guide?